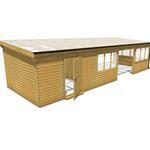 Our large range of Outdoor Classrooms are built to last, from sustainably sourced quality materials. 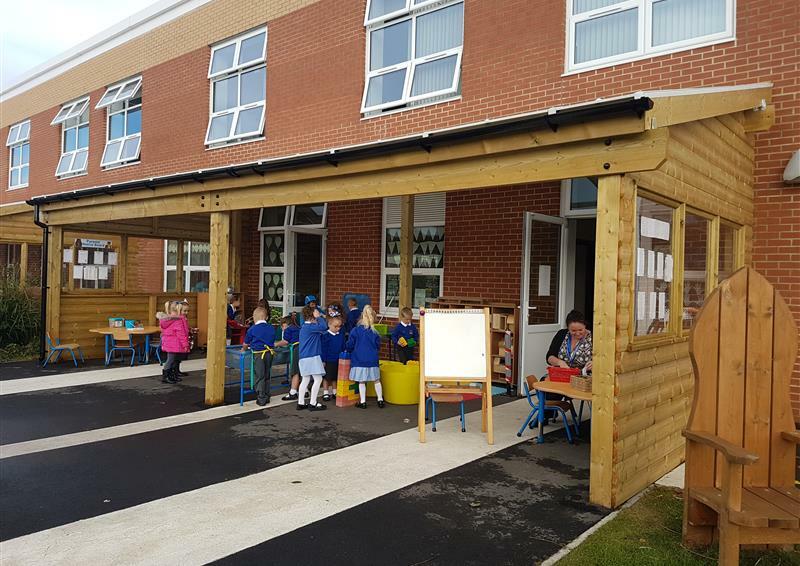 They come with industry leading guarantees and are designed and installed to comply with current building regulations, so children can enjoy outdoor learning daily, no matter what the weather! 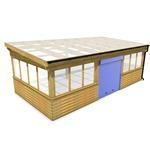 Built on site, we design and build exactly to your specification and curriculum needs. 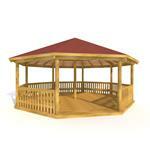 Our Gazebos can promote mark making and literacy while providing the perfect classroom space. 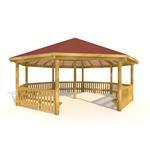 Our Canopies are designed to meet your school’s outdoor environment needs. 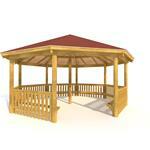 Our Gazebos are built on site by our experienced installers to suit any unique requirements. 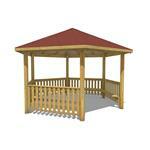 Our Timber Canopies can be built to cover any size space. 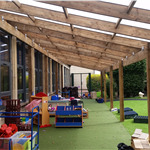 Our range of School Canopies will provide the perfect solution to all of your free flow needs. 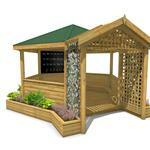 Our Gable-End Outdoor Classroom can be bespoke-built and suited exactly to your requirements. 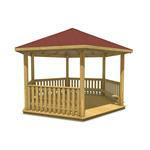 A Playground Lodge can be used as a classroom, library, staff room or music room. 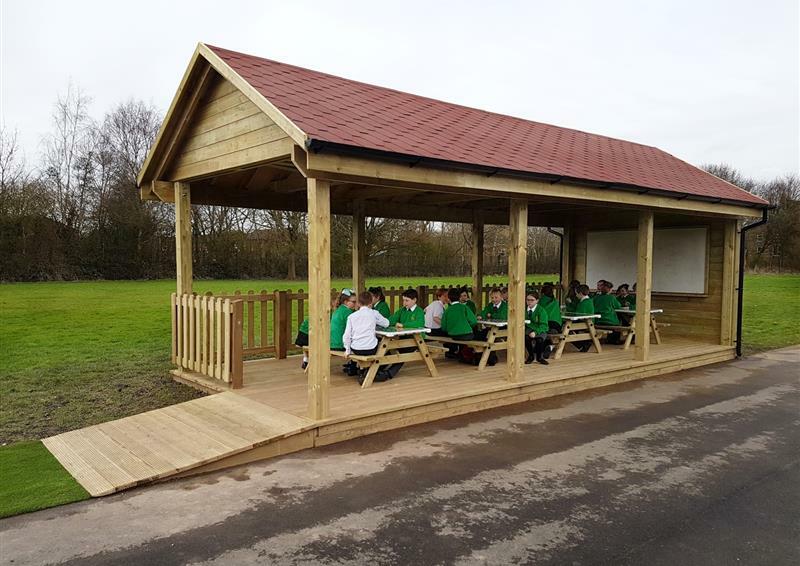 An Outdoor Classroom is the ultimate way for schools to open access the outdoor world, packed with opportunities for exploring, creating and learning. 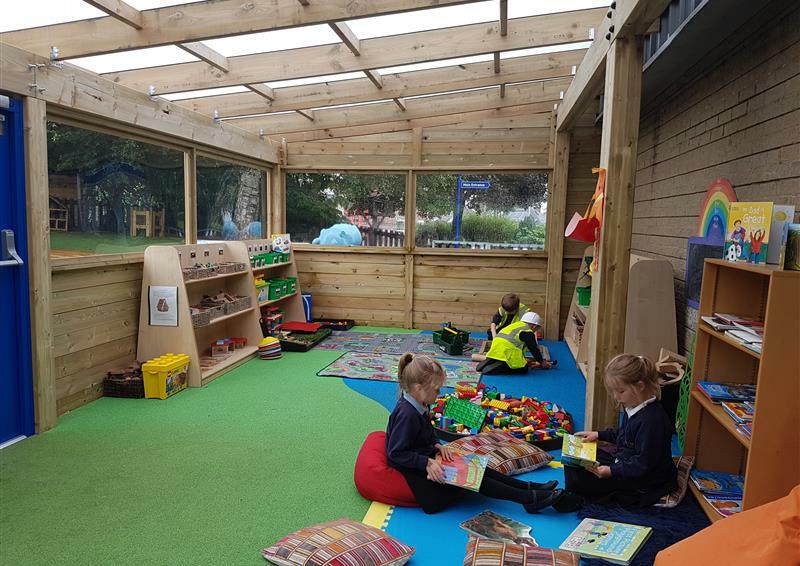 Our structures are extremely adaptable and constantly evolving resources, which is one of the reasons why they are so popular in Early Years settings and Primary Schools. They evolve from and adapt with children’s changing needs and interests, as they make their way through the curriculum. 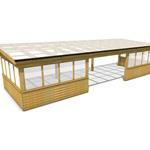 We can install our Outdoor Classrooms on different surfaces and areas of the school, to suit your access requirements. 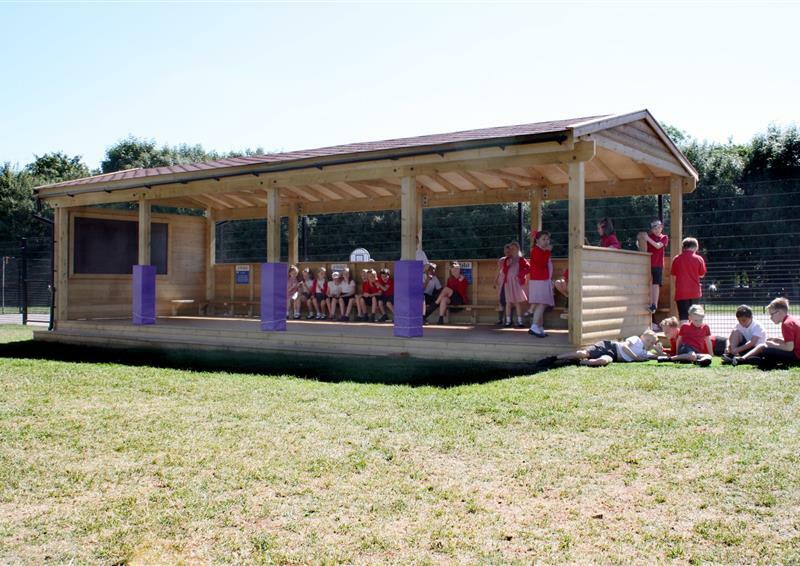 Some can be built as an adaptable extension to the school building, to create a larger and more versatile freeflow learning space. 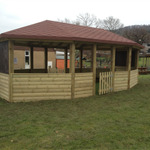 Some are stand alone and can be located in most places within the school grounds - ideal for building a separate natural learning area. Children love the sense of adventure that going outside brings! 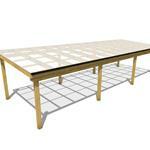 Secure lockable doors and/or lockable roller shutter options ensure that teaching resources and equipment can be stored and kept safe overnight. 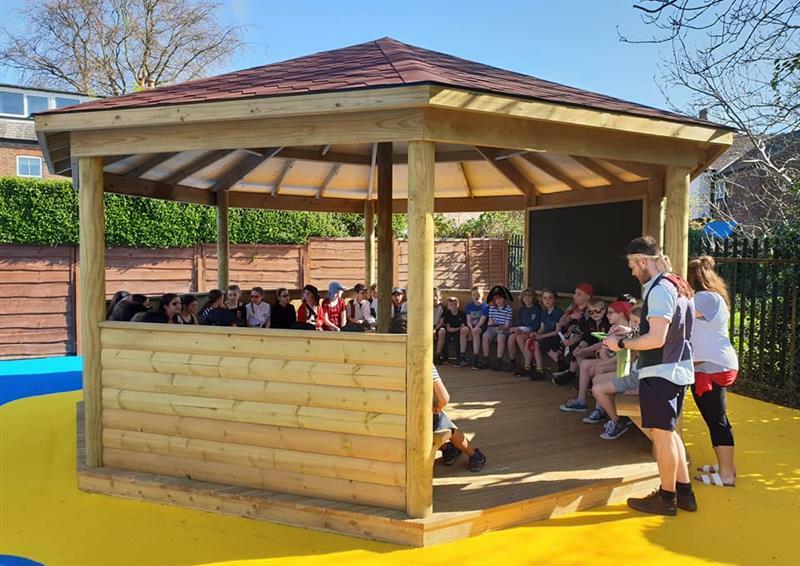 We can include built in storage and display shelves, built in seating, and built in planters for growing areas, so you really can bespoke your installation to suit your school. 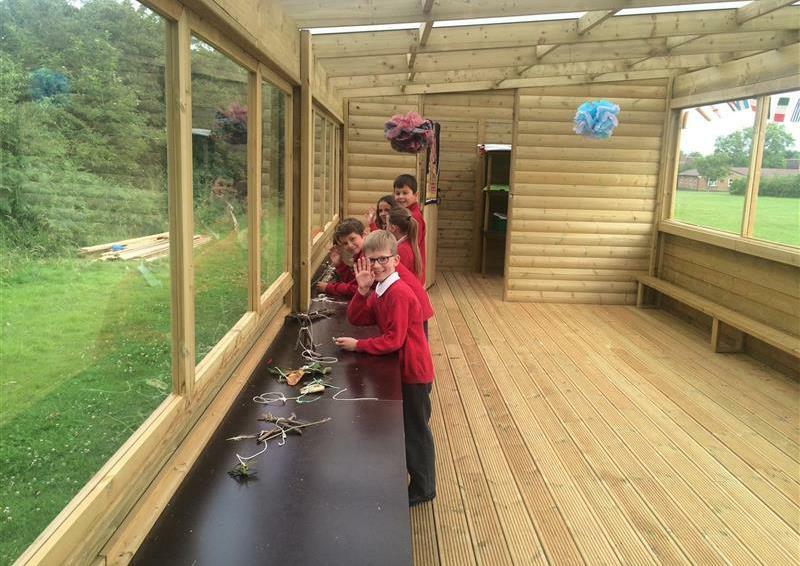 Why Choose an Outdoor Classroom For Your School? 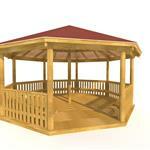 A functional base for structured and unstructured learning. 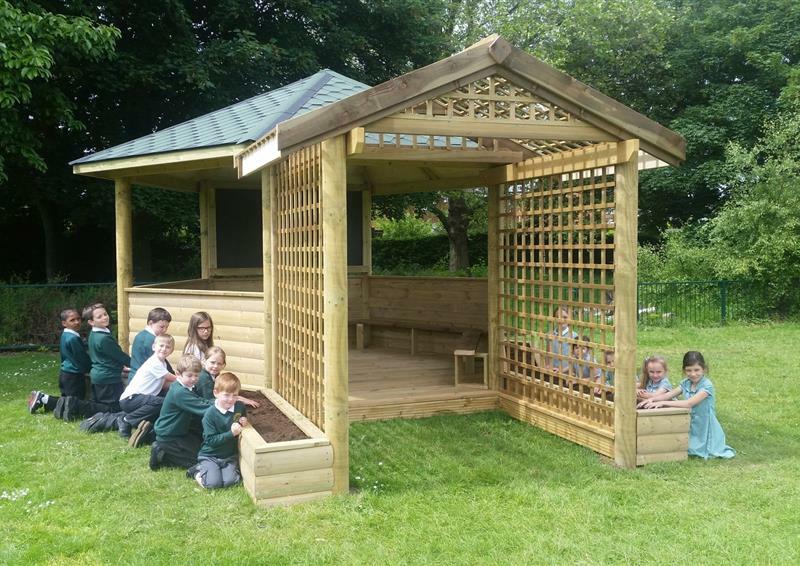 Take children outside the confines of a traditional classroom to improve engagement. 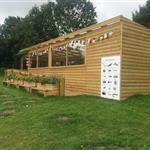 An Outdoor Classroom promotes social inclusion. 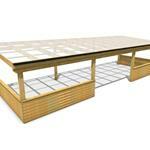 A sheltered space to read outdoors. 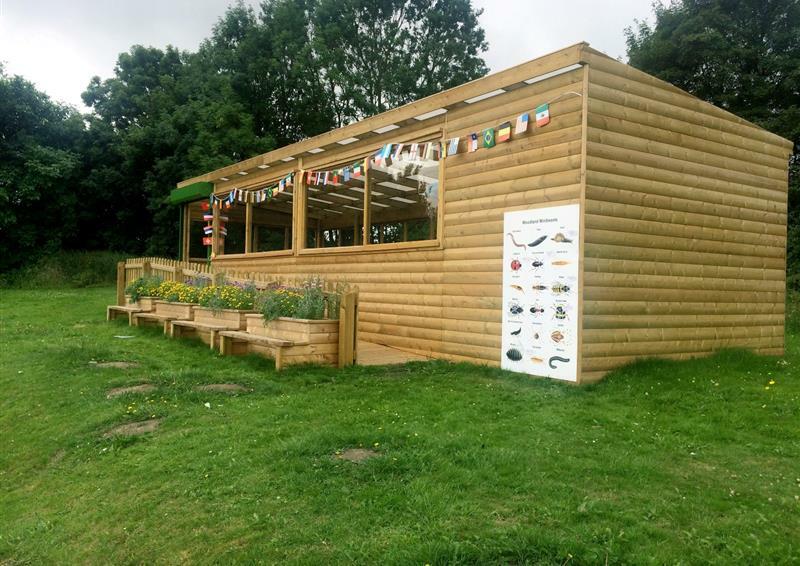 Use your classroom for lessons, reading, snack time, group discussions, parent waiting area, constructions zones, outdoor music sessions, yoga, art and design and physical activities. Create a space for quiet time and reflection. 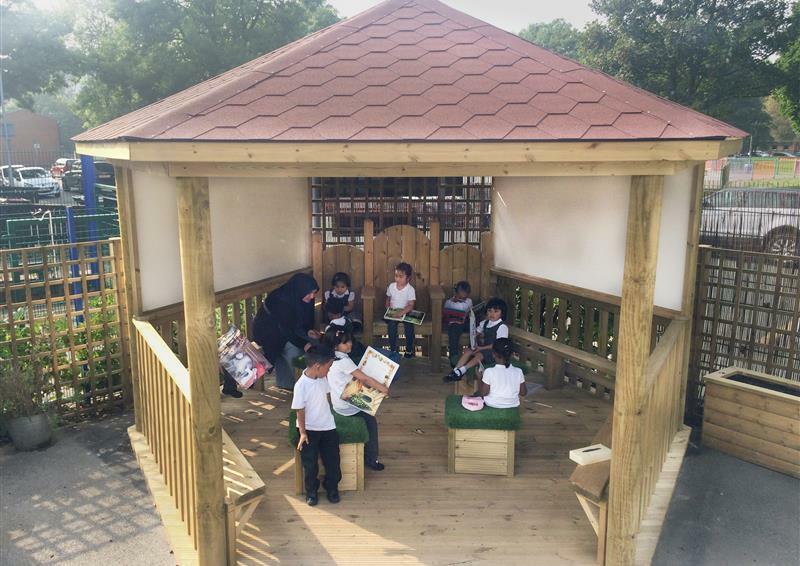 The fresh air will give children a fresh focus. 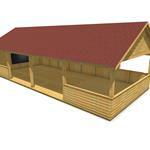 Feel free to fill out our contact form below to arrange a free consultation and design presentation.